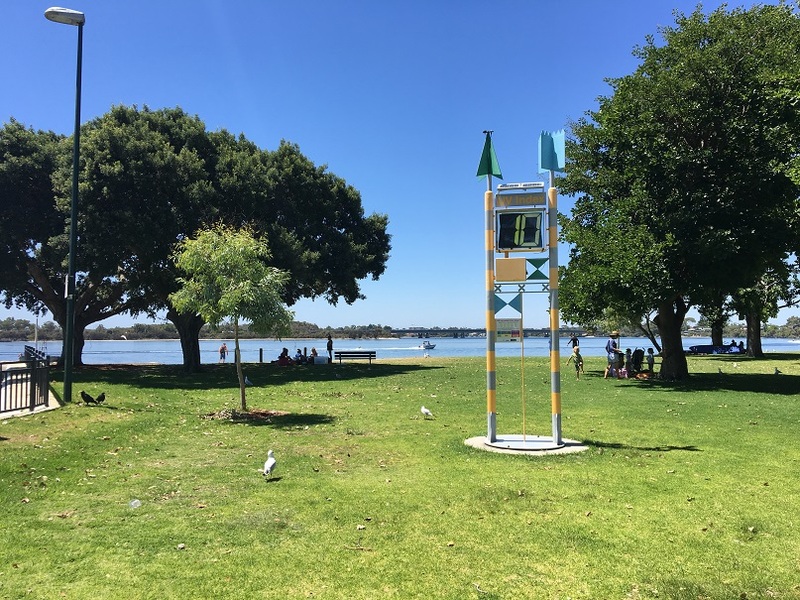 Deep Water Point Mt Pleasant is the perfect place to enjoy river and city views while you play, picnic, dine or enjoy your favourite water sports, with playground, picnic areas and Dome Cafe located right on the point. Right alongside the Dome cafe is this big climbing frame that little adventurers will love. 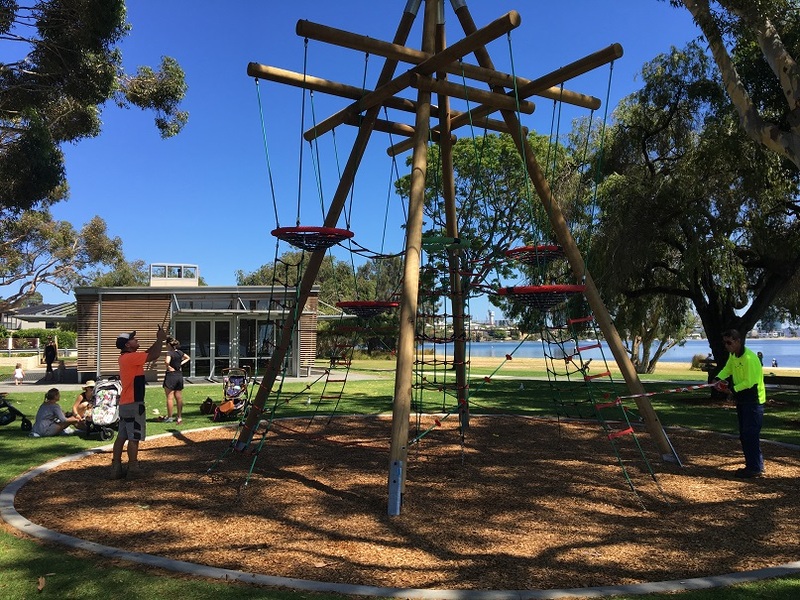 They can climb up the ropes to the baskets and enjoy the view over the river towards the city to watch the boats go by and spot for dolphins.Note: on the day we visited the climbing frame was closed for maintenance. A Dome cafe is located right on the point and has lots of indoor and outdoor dining area. It's well placed to dine will you watch the kids on the climbing frame. It's open daily from 6am - 9pm this is a great place to dine all day long and let the kids run around. Dome have a big range of meals, light meals and snacks to choose from the main and kids menu. 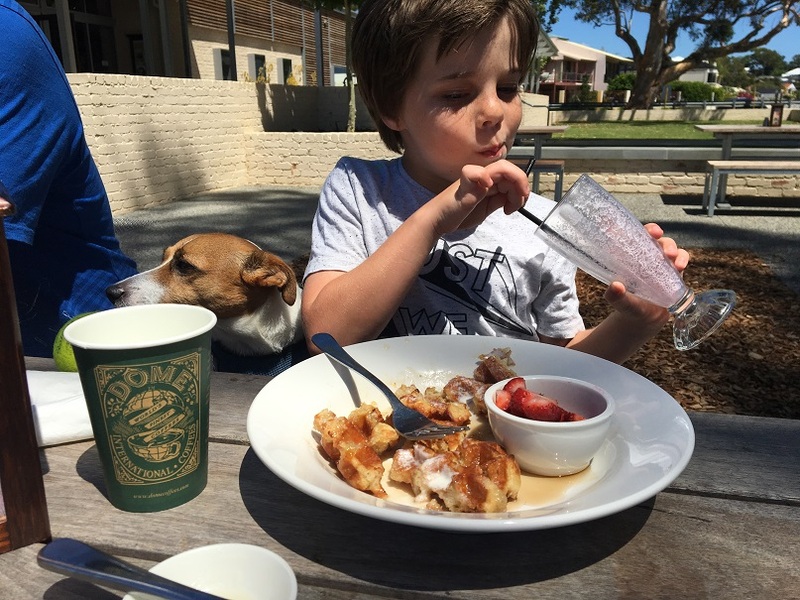 We enjoyed a delicious morning tea of waffles and ice-cream. Dome cafes also provide colouring in sheets and pencils for the kids. Dome Deep Water Point is dog friendly, however dogs are not allowed on the reserve and must stay within the cafe grounds or on footpaths. 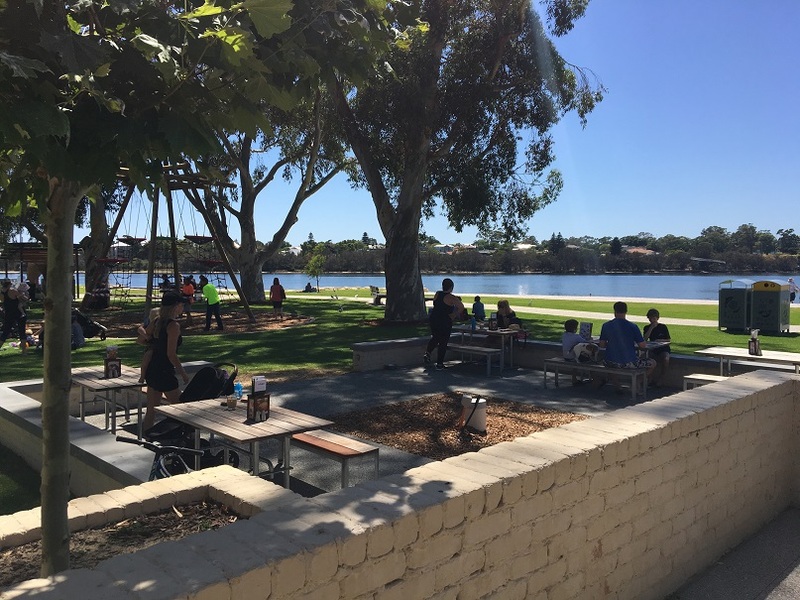 There is also a lovely beach area that's adjacent to the Dome cafe, that's perfect for a splash after you've dined or while you enjoy a picnic in the shade. 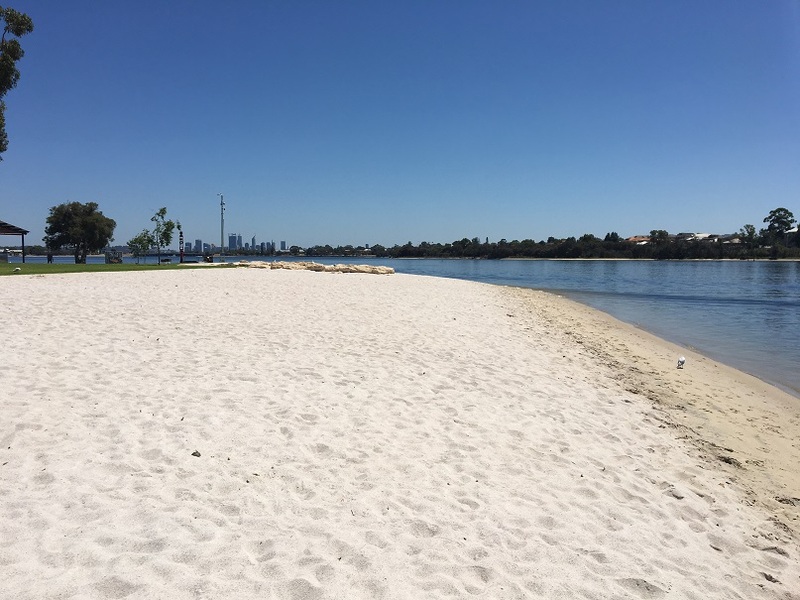 With a boat ramp here and a long stretch of sandy beach this is also the ideal spot to put in the boat or launch your jet ski, or just have a splash along the foreshore. 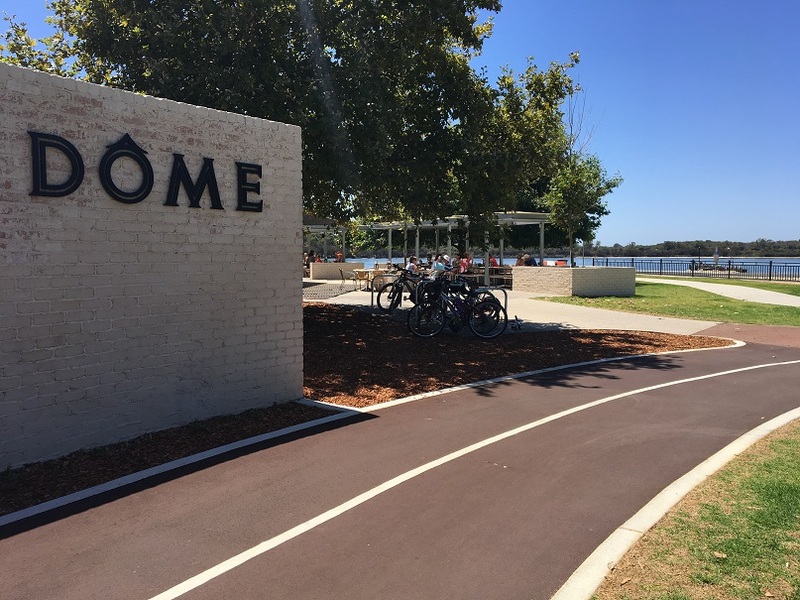 There are also bike & cycle paths that run in each direction so you can enjoy a walk or ride along the foreshore and head back to Deep Water Point for a play, picnic or bite to eat at the Dome cafe alongside the playground. Bike racks are located at the Dome cafe entry. The pathway extends around the point and the playground areas so it's a great spot to scooter alongside the river too. 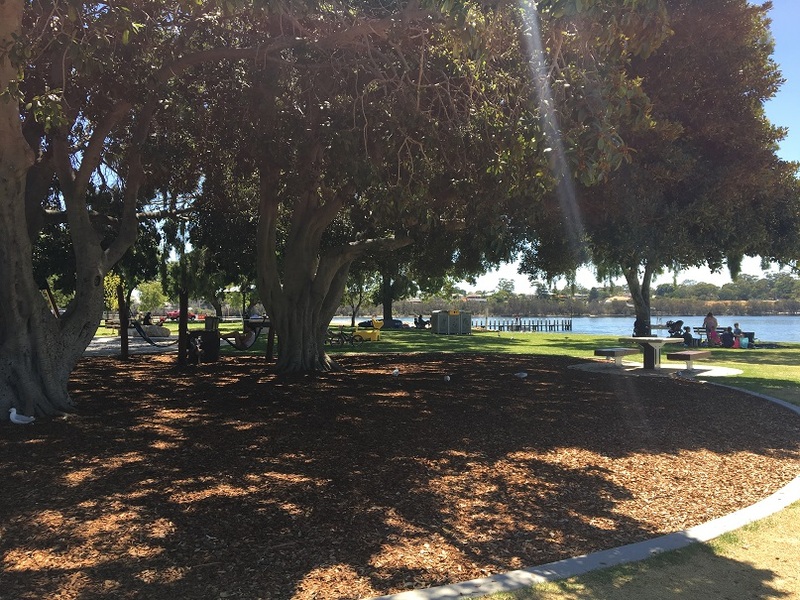 A second playground area is located on the other side of the Dome Cafe in a beautiful shady spot also right alongside the river. 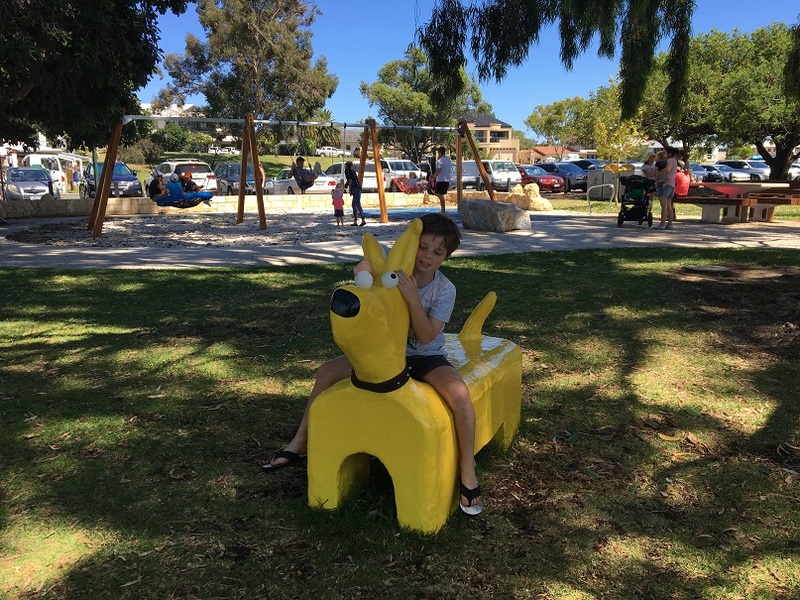 This is a small playground with a range of swings including a basket swing, all abilities swing and hammock swing. There is also a small wooden framed ropes play challenge under the large trees here. 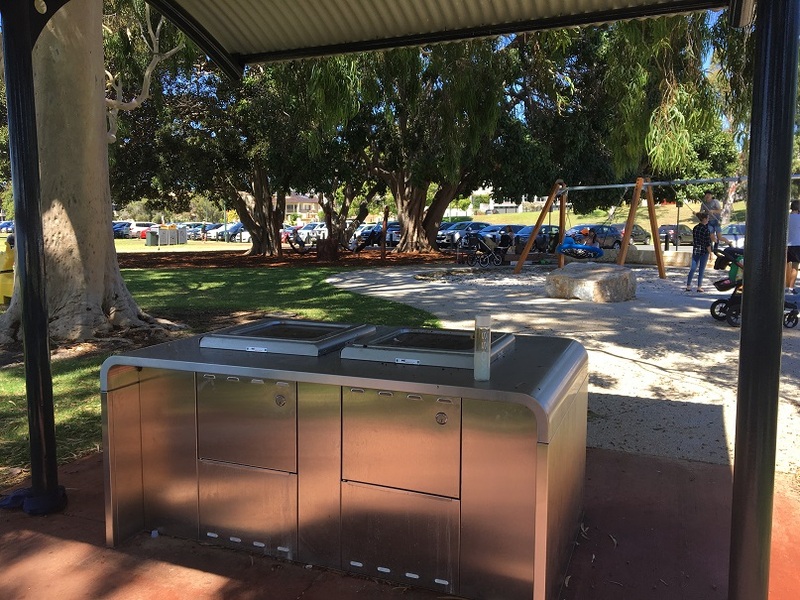 There are BBQ availalbe to use a Deep Water Point Reserve, toilets are located at Dome Cafe, there is lots of seating and parking is free (unless you have a boat trailer - then ticket parking is required). Deep Water Point Mt Pleasant is a stunning place to enjoy a play and a splash on a hot day, or as an alternative to hitting the beach to cool off. 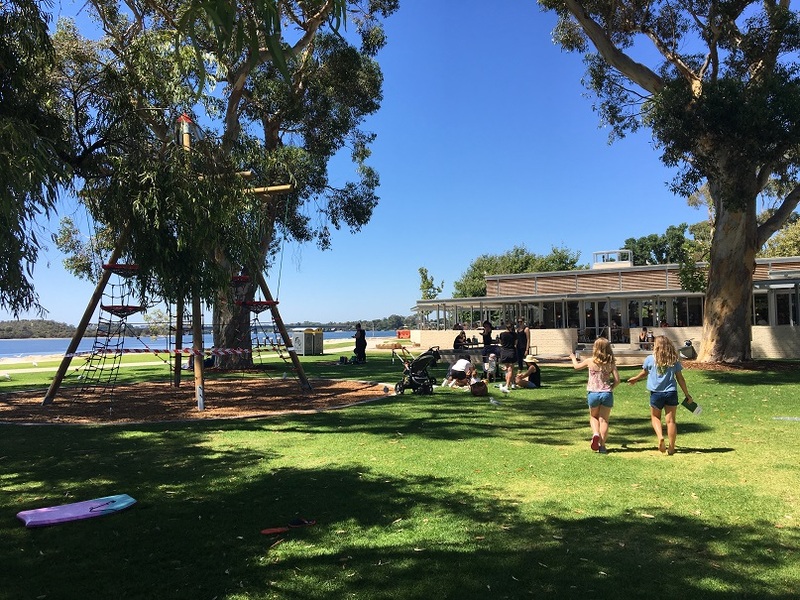 It's not hard to see why this spot makes it onto our favourite Swan River locations list. If you haven't been yet put it on your list to check out it's a fantastic spot to meet with friends or family.